Avery Ellis is a defensive lineman currently playing with the Ottawa REDBLACKS. 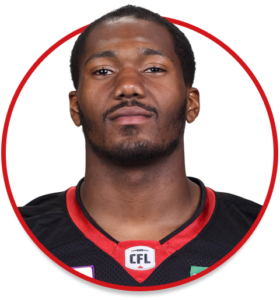 Signed by the REDBLACKS as a free agent on May 8, 2017. Played in 16 regular season games and the only playoff game for the REDBLACKS. He recorded 26 defensive tackles, one special teams tackle, six sacks and one defensive touchdown. During 2016 at Temple University, he earned Co-Special Teams Effort Player of the Week once and Special Teams Production Player of the Week twice.